Okay, we'll admit, watching the Modern Pro Tour on twitch.tv/magic got us a bit excited for Masters 25. 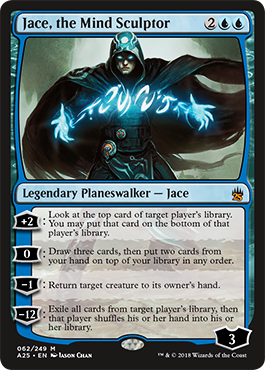 Modern covers everything since Eighth Edition, but Masters 25 covers all of Magic's 25 years, with at least one card from each of our major releases in those 25 years. We got a little nostalgic. The 25th Anniversary timeline certainly helped push us in that direction. Note the really cool watermark in Azusa's text box representing the original printing. 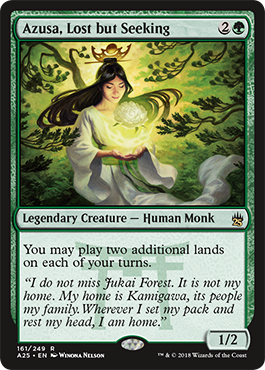 Nearly every card in Masters 25 will have this treatment, even cards originally printed in Limited Edition (Alpha), Beta, and Unlimited! 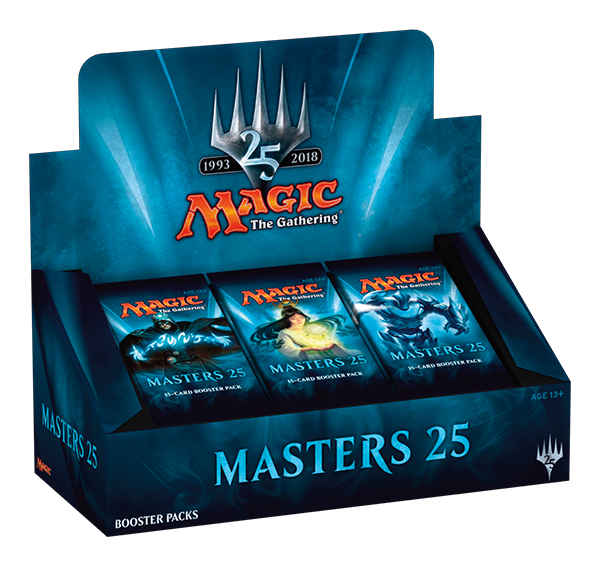 Masters 25 releases March 16, and full previews will start February 26!